What's The Point Of The Election If You Live In A Safe Seat? Rachel Holdsworth What's The Point Of The Election If You Live In A Safe Seat? Photo by Norman Craig from the Londonist Flickr pool. 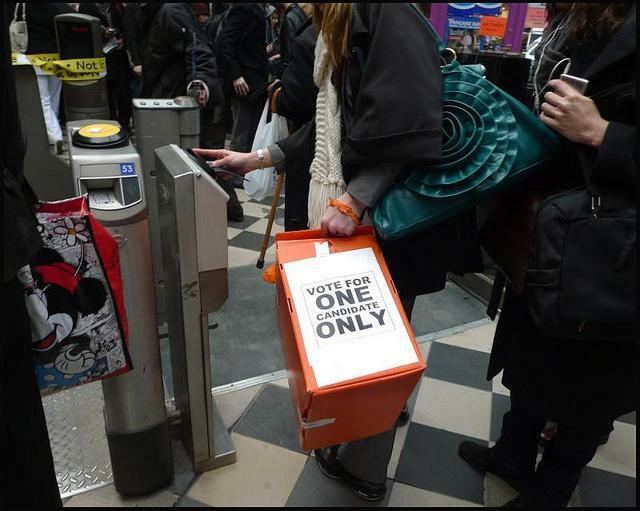 Because of the way our electoral system works, if you live in a safe seat the whole voting process can feel pointless. 'Why bother?' you may well think when perusing the voting figures and seeing your local MP last swept into Westminster with over 50% of the vote. In the run-up to polling day we'll hear lots about certain marginal seats, and sod all about the likes of Lewisham Deptford or Chelsea and Fulham, neither of which has a hope in hell of producing a shock result. But it doesn't mean you're not important, or that you can't influence what goes on in your local community. Here are some suggestions of things you can do if you live in a safe seat. "There were always two arguments for First Past The Post — it delivered strong single party government and it maintained the link between the MP and the constituent. We know it is unlikely to ever result in a single party majority again and we know too what MPs think about the link to their constituents given their rejection of the right to recall them." 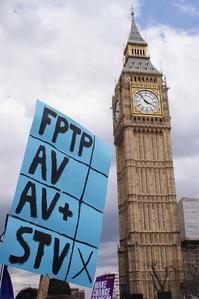 "First past the post is strangling the life out of our democracy. With a third of the electorate refusing to vote for either of the main parties, outright power is impossible. We are in an era of NOC — no overall control, where weakness begets further weakness... The case for a proportional voting system that matches seats to votes is now unanswerable. Indeed, negotiated and systematised coalitions is the only thing that will give Britain any sense of political stability." Your vote might not make much impact on the national political scene, but you can still influence what happens in your local area. Ruth Stokes, author of The Armchair Activist's Handbook (available in paperback from March), has some excellent advice for anyone wanting to make a difference. "One thing you could do is to try drawing attention to an issue that your MP might not otherwise focus on, by getting creative about how you get your message out there," she says. "The Craftivist Collective is one group that makes use of this tactic, using sewn messages on handkerchiefs and mini protest banners, among other things, to persuade MPs and others to take action on a range of campaigns. "There are also ways to make small, practical differences yourself in your immediate area. You could take inspiration from The Empty Shops Network, which uses disused buildings for events and creative spaces, or the Pimp Your Pavement campaign, which encourages everyone to transform empty or forgotten public spaces where they live through gardening. "If you have a cause but feel there is strength in numbers, it might be worth joining up with groups like the Transition Network (which promotes community organising to rebuild resilience and reduce CO2 emissions), a charity such as Living Streets, (which helps people 'reclaim' local roads) or a nearby community group, or sign up to online networks like GlobalNet21 or NatCan to find like-minded people. "Finally, if you’re short on time, even changing your own habits can make some difference to both local or national issues. For example, if you care about a more sustainable food system, you might take action by choosing to get your food from a local supplier that sources its food from the UK and makes a point of paying a fair price for produce. If you disagree with the conduct of some of the big banks, you could try moving your money. Or Ethical Consumer is a useful website for finding help on using your buying habits to make a change." Photo by secretlondon123 from the Londonist Flickr pool. You think you've got it bad living in a safe seat? Trying running an opposition campaign in one. Naomi Newstead is the Conservative candidate for Camberwell and Peckham; Harriet Harman is the incumbent, polling 59% of votes cast in 2010. We wondered how she goes about what must be a soul-crushing task. "I just approach it as if it was any other seat because I’m trying to provide an alternative, even though there’s a massive majority," Naomi told us. "I’m trying to give people the prospect there is someone else to vote for. If I sat back and didn’t do anything it wouldn’t really be an alternative. I just try and run lots of local campaigns on local issues." She's intervening on behalf of Aylesbury Estate leaseholders and (along with other local politicians) campaigning for the Bakerloo line extension to run via Camberwell, as well as pushing for improvements to local schools. "It's not an area where you knock on doors and get a lot of people who say 'I'm a Conservative voter'," she admits. "But people want to hear what you've got to say and appreciate the fact that you've called round. There are a few people who say 'I'm not going to vote and I never do', but hardly anyone says it's not worth their while voting. People aren't downhearted by the fact they’re in a safe seat." What comes out of our chat is actually very similar to the approach advocated by Ruth Stokes: it's about making a difference locally, even if your MP isn't who you'd necessarily choose to represent you. "I don't think there’s much point in me getting bogged down in the numbers of it, whether I get more than the last time, that's not the objective," says Naomi. "But what might be good is because I've run these campaigns and they've gained traction, people see that the Conservative party stands up on the issues and can stand up for people on the things that they care about. That would be a positive thing." You'll hear a lot about this, though it's possibly one of the least gratifying options. Tactical voting is when you vote for a candidate who's not your first choice, but stands a better chance of kicking out the incumbent. If you live in a really safe seat even this isn't much of an option, because there won't be an obvious challenger. However, keep an eye on local polls, as some seats that would once have been considered safe are changing political complexion. We hate to pick on Simon Hughes, but his Bermondsey and Old Southwark seat is a prime example: Lib Dem since 1983, a recent poll put Labour and the Lib Dems neck and neck. If you'd naturally vote Green or Conservative, will you switch your vote to boost one of the leading contenders? This is a bit like tactical voting, except you match yourself up with someone in a different constituency. If you want to vote Lib Dem but live in a Labour seat and the nearest challengers are the Tories, find someone who wants to vote Labour but lives in a Lib Dem/Conservative marginal and promise to vote the way the other person would. Yeah, you're just cementing the status quo where you live, but you might help bolster your preferred party somewhere else. Toby Young plans to set up a UKIP/Conservative vote swap website in a bid to block Labour and there's a site enabling Green and Labour voters to swap; the problem with all these plans is that polling experts say the effect is minimal. This might explain why all the sites we can find from previous elections are now link farms, but maybe try matching yourself with friends in other parts of London or the country. You could always sign up with Bite the Ballot, which tries to encourage those not on the electoral register — mainly young people — to sign up. 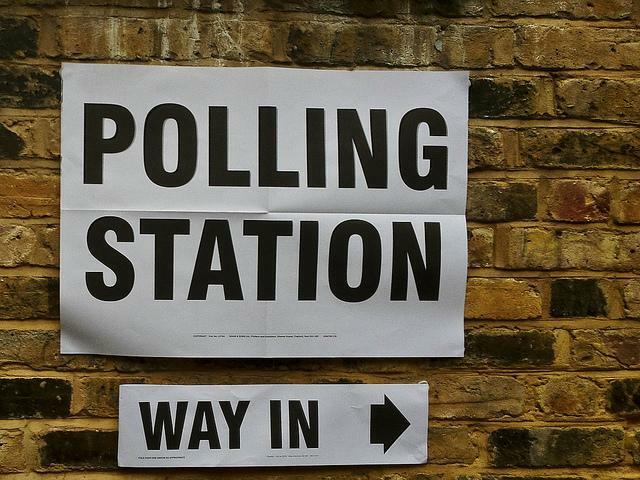 Your vote might be swamped by others, but what if you could persuade enough people in marginal constituencies to sign up and place their cross on 7 May? You could always just, you know, vote for what you believe in. It's not entirely crazy talk — with the theory that politics in the UK is becoming more fragmented and smaller parties offering increasingly credible alternatives, the best way to prove it's an actual phenomenon is by counting the votes going to places other than the 'big two'. It could even lend weight to the argument for a more proportional voting system. And the problem with a 'silent majority' is that it's very easy for other parties to co-opt it into backing what they want. Screw that. Also — if, as expected, no one party gains a majority and needs to go into coalition, the national popular vote could add legitimacy to smaller parties. Or even larger ones, for that matter. There are a couple of websites that ask what you think about various issues and then match you with actual party policies. Vote for Policies and Vote Match will show you which parties best align with what you think. There's nothing to stop you going into the voting booth and scrawling big lines or rude words across the ballot paper as an expression of dissatisfaction with your options. It still gets counted, as a spoiled ballot — just don't be too rude, remember that a tired local official has to read what you've written at 4am. Make sure you're registered to vote — you can do it online, easy peasy.